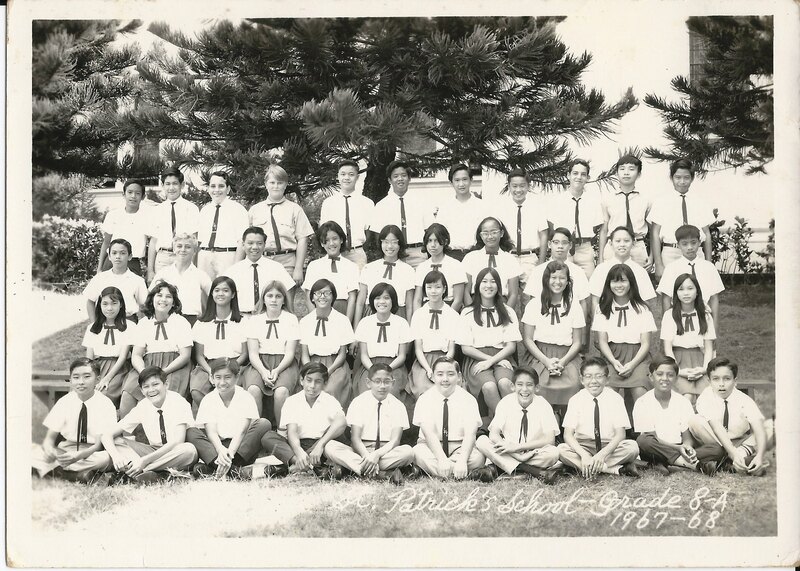 From kindergarten through eighth grade, I attended St. Patrick’s School in Kaimuki, Oahu, Hawaii. Its environs never changed. It is abutted by an all-girls private Catholic school on the north, a public elementary school on the west, and old time wooden single family residences on the south and east. I later attended the all-girls school. My father was a Filipino immigrant and a staunch Roman Catholic. He held two jobs, as a housekeeper and a waiter, so that I could get a good education. We lived about a mile away in the infamous Palolo Public Housing. As you see from the photographs below, our classes were quite overcrowded by today’s standards. My teachers were mostly nuns of the Sacred Hearts order. They hailed from Belgium, France, and various small communities in Hawaii. They were strict, uncompromising disciplinarians and I had my share of spankings. In eighth grade, Sister Georgene slapped me hard across my shoulders because I let a fellow student copy my homework. The handful of lay female teachers was a breath of fresh air. Catechism was ingrained in my psyche and I imagined saints and ways I could be a modern day martyr. We went to mass every week, and the ubiquitous smell of incense graced the parish church doors.. Mea culpa, mea culpa, mea culpa. That, I remember well. Our playgrounds were asphalt parking lots. The girls wore green jumpers, and later green skirts, and starched white blouses. The boys wore khaki pants and white shirts. I still keep in touch with a few classmates. I remember those days fondly and don’t care that the St. Patrick was never really canonized. Today, my blood runs green with the Irish legacy of St. Patrick. This entry was posted in Day by day and tagged Catholic, Creativity, Family, Hawaii, Relationships, Spiritual, St. Patrick School, Writing by Berna. Bookmark the permalink. It is good to “meet” you! We moved in 2010 and I am still an island girl. I also get to visit Hawaii for my consultant projects. I like your blog. I don’t know blogspot; is there a way to subscribe to your postings? Ha ha…someone just pointed out to me that the person in 2-B second from the right on the top row is my brother Gordon. What a hoot! 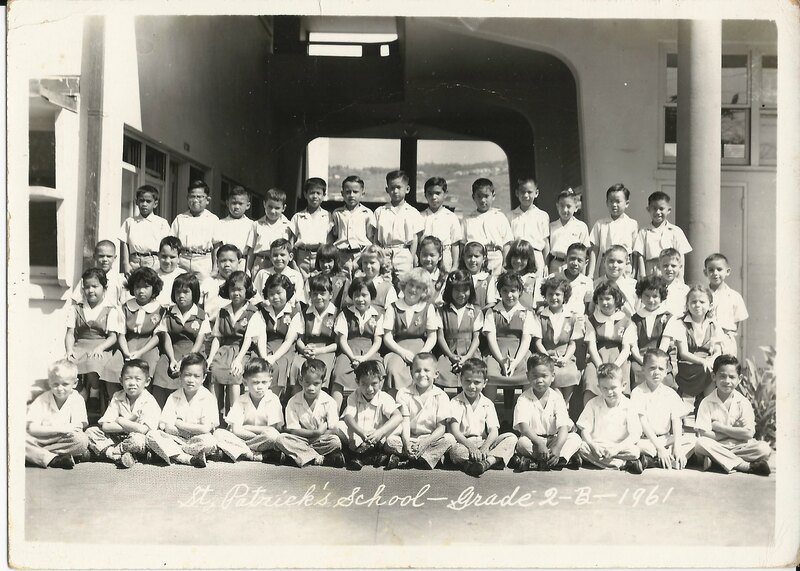 I graduated SPS in 1960 when Mrs. Tsurunaga was my teacher that year. She replace Sister Mary Lucy who was principal at the time. Mys sister Crystal was a year younger than Gordon and my brother Glen was a couple years younger than me. Sr. Mary Lucy must have come back because she was principal when I was there. I had to visit her office a couple of times. By the way a few months ago, we had a class reunion and I saw Mrs. Trask, the school secretary. 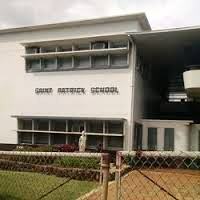 Was she there when you attended SPS? Mrs. Trask was there when I started in Kindergarten in the early 50s. She was skinny with a pointed nose is what I remember. Mrs Piurosky was there also who wore a lot of perfume. I had Miss Silva who taught us in 2-B, 3-C, and 4-B. She never gave us any homework for three years straight.